A four-round total of 14-under-par gave Adam Scott the trophy at the Valero Texas Open, his first PGA win in over two years. With scores of 71, 70, 66 and 67, Scott finished with a one-stroke lead over Fredrik Jacobson of Sweden and in the process climbed seven places in the world rankings to 36th. The Australian walked away with $1,098,000 after the four-day pursuit at TPC San Antonio, Texas. 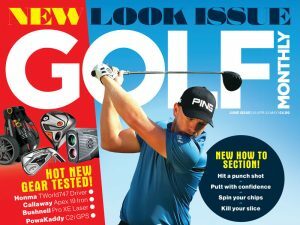 Golf Monthly takes a look inside Scott’s bag and examine the equipment that led him to victory.